More from Animation Magazine and Kidscreen: “London-based distributor CAKE has picked up international rights to stop-motion series Kiri and Lou… Featuring paper and clay stop-motion animation from Antony Elworthy (Coraline, Corpse Bride), Kiri and Lou is written and directed by Harry Sinclair and co-produced by Fiona Copland from indie production company Stretchy, and Heather Walker at Yowza! 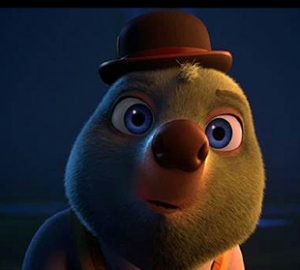 Animation (Curious George, Welcome to the Wayne). 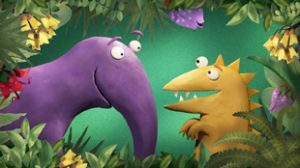 Aimed at three- to six-year-olds, the show focuses on the friendship of a feisty dinosaur and a gentle creature—who are joined by an unlikely group of animal friends.” It also features the voices of Jemaine Clement (Flight of the Conchords, Moana) and Olivia Tennet (Lord of the Rings: The Two Towers) as the lead characters. Visit the official web site to find out more. More from Animation Magazine. 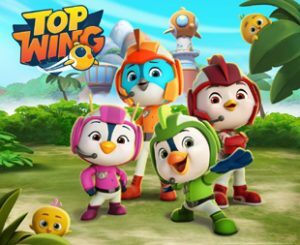 Turns out that a well-known animated app is now being turned into a full-fledged animated TV series. 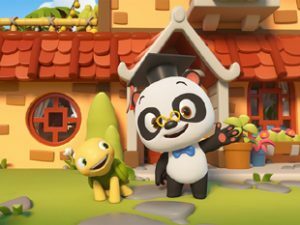 This is from Kidscreen: “9 Story Distribution International has picked up distribution rights to Dr. Panda and will start selling the new 3D-animated series in all global territories except China, Hong Kong, Macau, Taiwan and select MENA countries at MIPCOM… Aimed at kids ages three to six, Dr. Panda is the first 3D-animated series from the same-name kids app developer that has racked up more than 95 million downloads and five million active monthly users since rolling out its first app-connected toy and AR app in 2017. 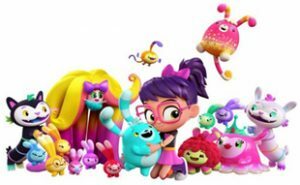 The show is created and co-produced by Malaysia’s Giggle Garage Animations (Origanimals, Kazoops) and Spider Eye Productions (Jungle Junction, Thomas & Friends) in the UK. 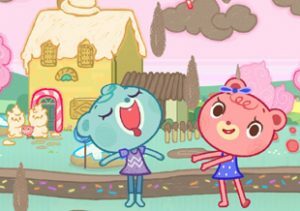 It’s directed by Patrick Chin and written by Daan Velsink (Panic!, Snapshot, Bingo!) and Chris Parker (Peppa Pig, Shaun the Sheep). 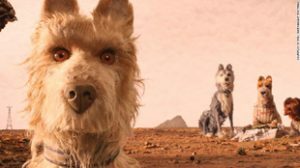 Its titular main character tries out new jobs and solves problems with his friends in each episode.” The producers hope to have the new show ready to roll out before the end of this year. 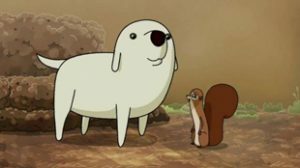 Also at CTN Expo we found out about Left Pocket Studio (in Shanghai) and their international TV series Emmy & GooRoo. “Emmy, our brave little hero, is 5-years-old and the only little human girl in the whole Magical Forest. 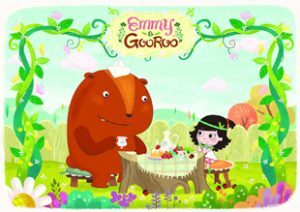 Emmy loves exploring the fantastical world she lives in with her best friend GooRoo, a big, furry, and huggable creature who takes care of her when they go out to play.” The official web site includes a trailer for the series.